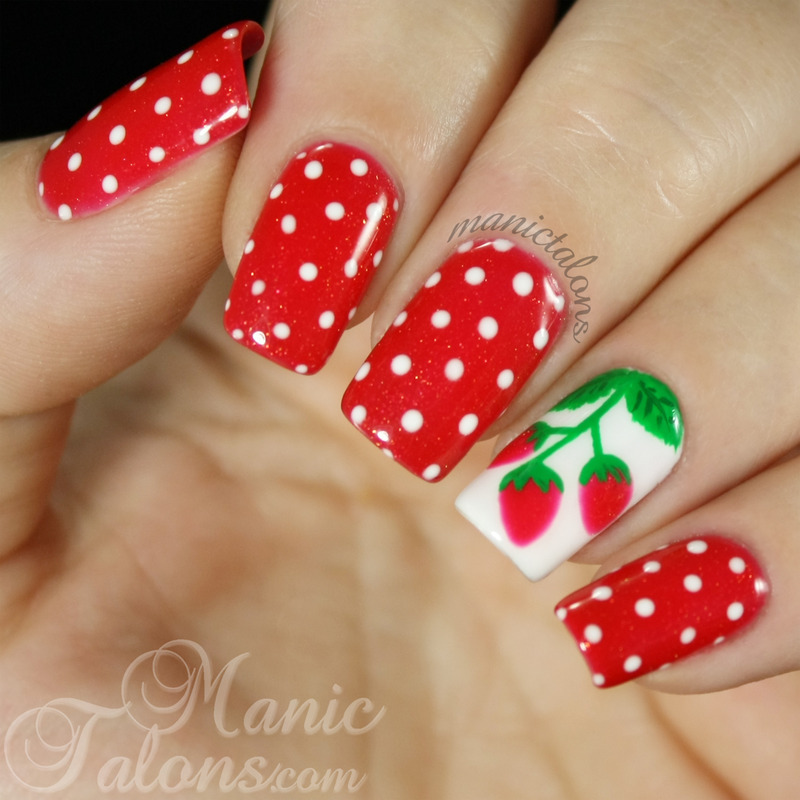 Today we’re interviewing the lovely Michele from ManicTalons! 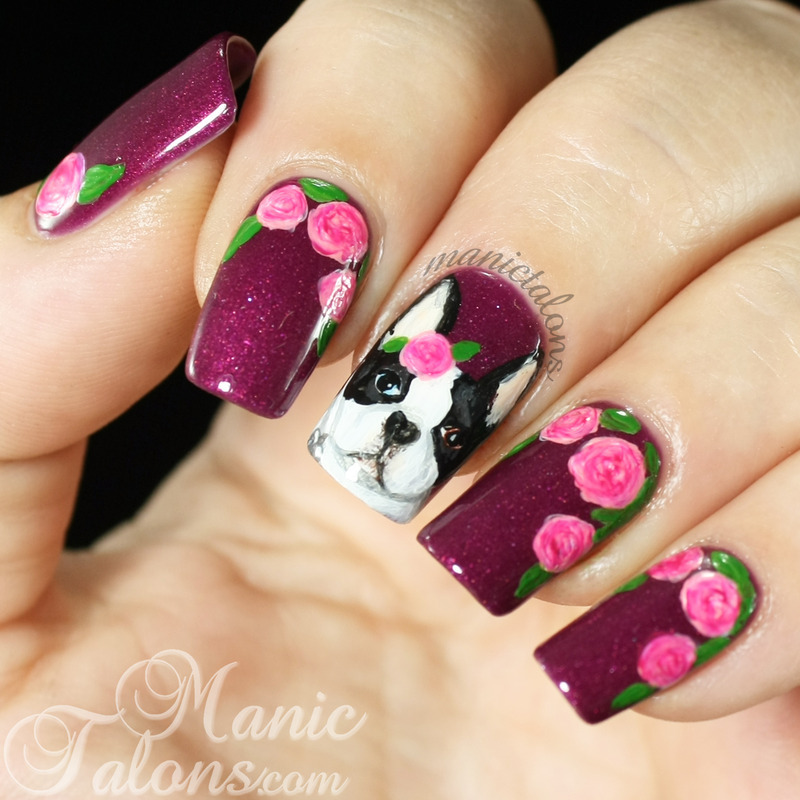 Her blog specializes in gel nail polish, and her nail art is out of this world! 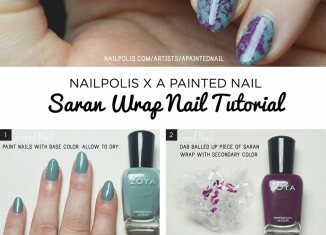 And if you want to get a peek at more of her nail art, you can check out her Nailpolis gallery here as well! 1. Help us get to know you a bit! I’m the voice and nails behind ManicTalons! As a mother of two young boys, I decided I needed a place to escape from the growing number of Super Heroes and toy trucks in my life, so a blog was born. I am mostly a gel polish user, so it just seemed natural that my little slice of the internet would focus on gel polish as well as my art. By day I am mother, by night I am an artist. It is a glorious double life. By day I am mother, by night I am an artist. It is a glorious double life. 2. What colors do you use the most in your nail art? I try to use a large range of colors, but a quick look at my polish stash reveals that I am a sucker for teals and blues. I can’t seem to get enough of them. 3. 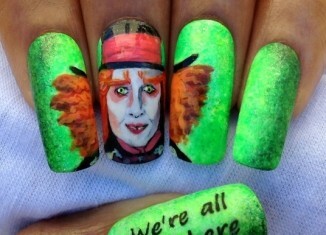 What are some other nail artist’s you like to draw inspiration from? There are so many! Andrea at www.Chickettes.com is a personal favorite. Her use of different techniques and textures in her art pieces has always called to me. It’s not my personal style, so I think that adds a bit of wonder for me. Kim at www.TenLittleCanvases.com is another. 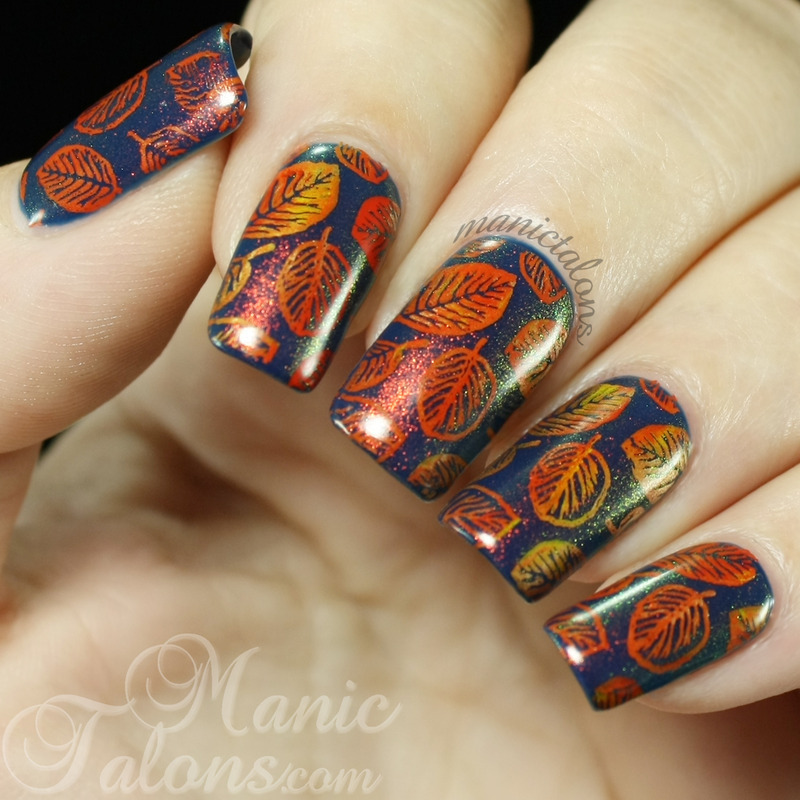 Kim is a stamping master and constantly pushes the limits by adding new techniques to her nail art. 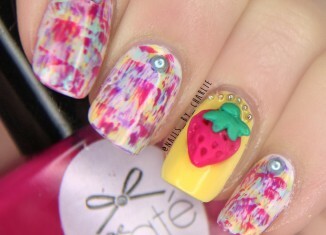 For example, she dabbles with acrylics, gel paints, and various crystals and studs. Finally, I can’t forget the master of gel polish art – Billy from Fine Touch Nails (aka Billy820Nails on Instagram). His ability to force gel polish to submit to his brush is simply mind blowing. As a mother of two young boys, I decided I needed a place to escape from the growing number of Super Heroes and toy trucks in my life, so a blog was born. 4. 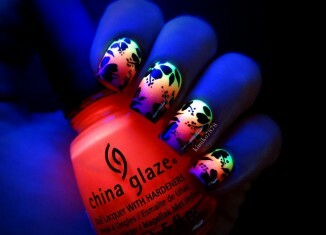 When did you first start creating nail art? I’m a bit of an infant in the nail art world. I never painted my nails at all prior to March 2011. Nail polish just wouldn’t stick to my nails. Then I discovered gel polish and an obsession was born, but I still kept it simple with a glitter accent nail or a few dots for about a year. 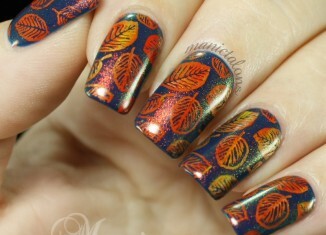 I started branching out into nail art more when I discovered stamping in 2012. Over time, stamping lead to more freehand attempts, and here I am! 5. 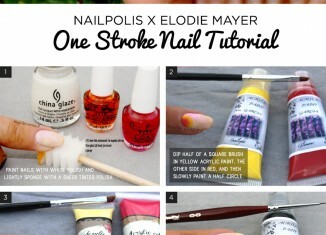 What nail art tools do you use the most? My Bundle Monster detail brushes and dotting tools stay within my reach these days. I’m also extremely fond of my XL Squishy stamper. I can’t stamp to save my life without it. 6. Do you have any other hobbies? Does chasing my little boys around count? I find I don’t have time for other hobbies at the moment, but I do enjoy a good book when I can find a moment to steal away. I’m more of a blue jeans and t-shirts kind of girl. 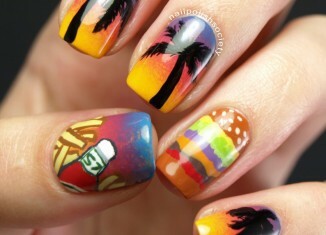 My nails, on the other hand, are usually very elaborate compared to my overall fashion style. 7. How would you describe your style? Manic! I have been gravitating toward floral designs lately, but my style is definitely all over the place. I might wear a very feminine and soft manicure one day and switch to something completely punk the next. I get bored easily, so I like to bounce between soft and bold colors. If I wear a soft pink manicure, the next manicure is likely to be super dark or super bright. I do find that I like for my nails to enter the room before I do, though. I’m not much of a trend chaser. I’m more of a blue jeans and t-shirts kind of girl. My nails, on the other hand, are usually very elaborate compared to my overall fashion style. 8. Have you ever thought about becoming a nail technician, or do you prefer to stick to your own nails? This is a very timely question. I am currently in the middle of a major change in my life. I spent the past 10 years working in the area of database administration and marketing analysis as my day job, and I now have the opportunity to switch gears and do something completely different. I am strongly leaning toward following my passion and getting my license. I’ve been researching local nail tech programs for the past month! 9. 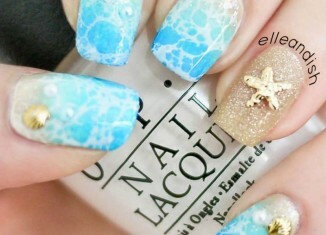 What was the most difficult nail design you’ve ever undertaken? Definitely my attempt at using dried flowers with gel polish. I love how it turned out, but that was the most frustrating design I have done to date. 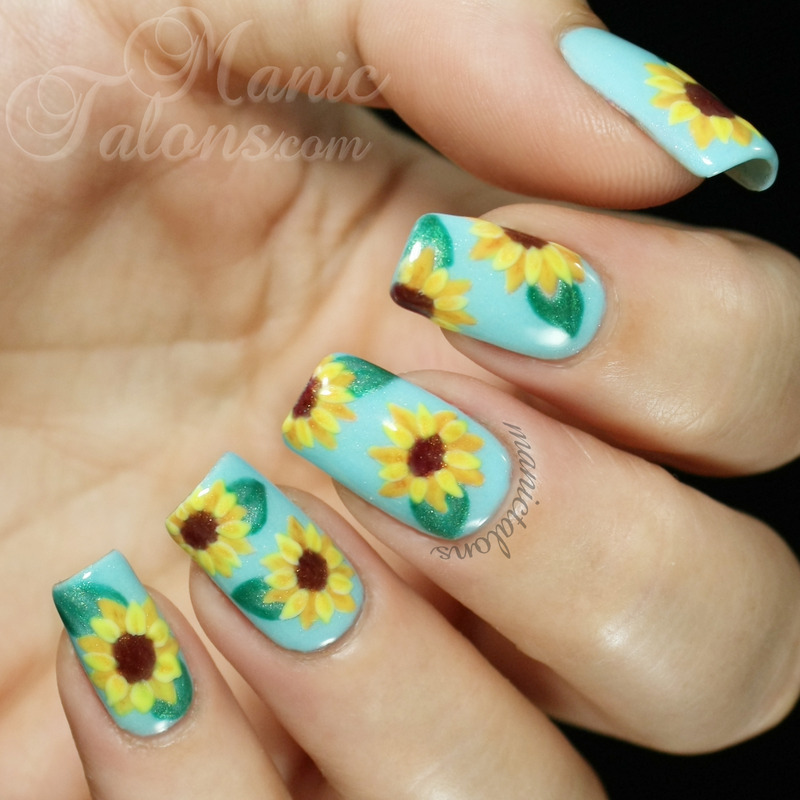 The stem bud on the back of the flowers made it nearly impossible to get the flower to lay flat on the nail, and the gel polish kept re-hydrating the petals while I was trying to work with them. I imagine they would be much easier to use with traditional lacquer. 10. What’s your nail care routine consist of? My nail care routine is mostly focused on my cuticles. Changing my gel manicures as often as I do exposes my skin to more acetone than the average person, so I’m constantly combating the drying effects. I file and shape my nails every two weeks and gently push back my cuticles with Blue Cross Cuticle remover. I then apply a cuticle balm and let that soak in before moving on to my manicure. However, the majority of my nail care routine occurs after my nails are done. I am constantly massaging oils and balms into my cuticles throughout the day to help keep them moisturized. My current favorite oils are Bliss Kiss Pure Nail Oil and Girly Bits Frazzle Fixer. I also alternate between Burt’s Bees Lemon Cuticle Butter and Sweet Baby by Donna Cuticle and Hand Balm in Warm Honey. Finally, right before bed I apply pure jojoba oil to my cuticles and then finish with a good slathering of Palmer’s Cocoa Butter. I also sleep in moisturizing gloves once a week for a deep moisturizing treatment. It sounds like a lot of work, but most of the time I’m mindlessly applying the oils and balms out of habit now. I might wear a very feminine and soft manicure one day and switch to something completely punk the next. I get bored easily, so I like to bounce between soft and bold colors. Nailpolis is a museum of nail art showcasing the world's top nail artists. 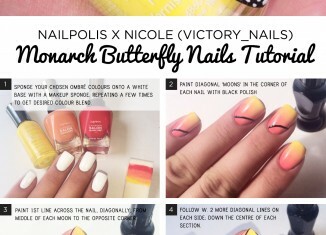 24 Cute & Colorful Nail Art Designs For SUMMER!